Just start by absorbing the reality that the Louvre is massive. Accept that you can’t see it all in one visit. Research the wings that you absolutely want to experience and then spend quality time enjoying what interests you most. Add gallery time by visiting smaller museums that have very impressive pieces. Monet’s famous Nymphéas (water lily) murals are in the Musée de l’Orangerie, at the far end of the Tuileries Gardens; The Musée Marmottan is home to the world’s largest collection of Monets; and the Musée Rodin, housed in a villa with a lovely garden, is in one of the most charming spots in Paris. Stretch your experience! 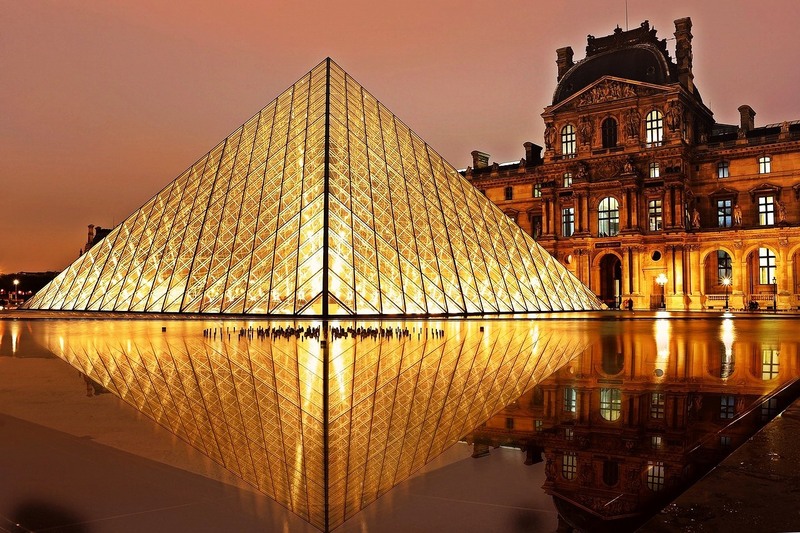 There are many museums in Paris with exhibits in less traditional streams, including fashion, wine, and money. No, you don’t need to spend $500 on dinner to have the meal of a lifetime! Reserve a lunch table instead and you’ll have that Michelin-Starred dining experience to remember (usually for under $150)! Try Le Clarence (owned by Prince Robert of Luxembourg), Dame de Pic (Anne Sophie Pic’s only Parisian restaurant), or Restaurant Sylvestre at Hotel Thoumieux. For dinner, enjoy simpler, yet still outstanding meals at a modern bistro. This is what the locals are doing! Some even open doors for lunch without any reservations required. Try Yves Camdeborde’s pioneering Le Comptoir du Relais in the sixth arrondissement. Taste the best of French terroir, from sustainable produce and a diversity of greens at Clover to masterfully grilled or smoked beef at his modern steakhouse, Clover Grill. These are two popular, lower-priced establishments that you’ll surely enjoy. Avoid excessively baggy shorts and those with cargo pockets. Some see the selfie stick as a distasteful accessory in Paris. Pickpockets and scam artists may target you too, so you may want to skip using one. If you look simple, tidy, and thoughtfully put-together, you’ll fit in well. Try neutral colours accessorized with a colourful scarf, hat, or jewel (but, stick to one). Clothing should fit well: not too tight or too baggy. A fitted jacket and nice shoes can be the final ‘je ne sais quoi’ to make you look effortlessly put together and confident. Paris traffic is usually gridlocked. Try the Métro. It’s faster to get around and stations are located everywhere. Wear comfortable shoes and take in the world-class window shopping! Hop on an inexpensive Vélib bike (the grey ones you see lined up on the street). Take note: the system requires a smart chip-enabled credit card to rent one. in the centre of town at Les Halles, you’ll find Parisian-designed goods from Sept Cinq or emerging French designers at L’Exception, and department stores like Galeries Lafayette and Printemps. Enjoy Paris’s covered passages: these were the city’s first malls beneath their vaulted ceilings of glass and wrought iron. Here’s where you’ll find antique book dealers, art galleries, toy shops, and more. Galerie Vivienne, just north of the Palais Royal, in the second arrondissement, is perhaps the most elegant of these. The Left Bank may have been the hangout of intellectuals in the past, but the only hard thinking you’ll be doing here is wondering why they’re charging $16 for toast and OJ. Instead, try Canal St. Martin. It’s where you’ll meet today’s Bobo hipsters (the Bourgeois Bohemians). Beaurepaire is buzzing with cafés and hip boutiques. Enjoy a craft beer on a veranda overlooking the water at the Paname Brewing Company up on the Bassin de la Villette. Cheap hotel rooms in Paris can dampen the spirits of an otherwise great travel experience. Furnished apartments are the best way to suit many budgets and tastes! Try an apartment in a single-digit arrondissement – checking how close the nearest Métro station is. A travel agent can often be a significant help in finding something great. As they say, variety is the spice of life! Indulge your sweet tooth at Fou de Patisserie, Jacques Genin, Yann Couvreur in the 10th arrondissement, Bontemps Patisseries for sablés, or Hugo & Victor, for a complete sampling of the best Parisian sweets! Parisians may not be the customer service, friendly, extrovert types, but there are things you can do to improve your personal interactions. French people tend to speak more softly than others (in the Métro, on the streets, or at cafés and restaurants). Keep your voice low, too. Try a simple: “Bonjour, Madame” or “Bonjour, Monsieur” and learn a few French words and phrases. Want to enjoy Paris to the fullest? Join me on a 15-day escorted tour of from Paris to Avignon. Experience France from north to south, sailing three rivers and embarking on in-depth shore excursions. All the planning is done for you! Click here to learn more! Thank you for sharing June! We have updated the article with your account!